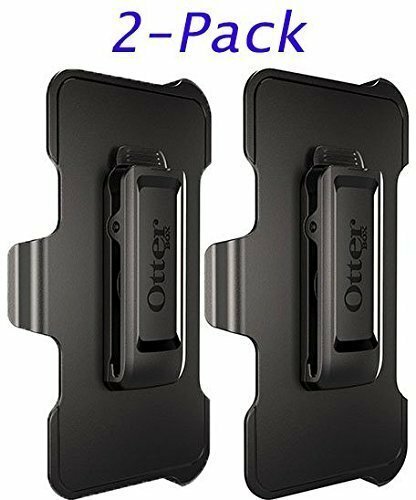 OtterBox Defender Series Holster/Belt Clip for OtterBox Defender Series Case - Apple iPhone 6s/6 Black (Please Read Full item Description) Non-Retail Packaging (2-Pack) - Black (Black) by OtterBox at Got Busted Mobile. MPN: Defender Series 78-50028. Hurry! Limited time offer. Offer valid only while supplies last. Compatible ONLY with iPhone 6/6s. NOT Compatible with iPhone 6/6s PLUS. Note: must be paired with Defender Series Case for Belt clip to work. Please Note... You will need to have an OtterBox Defender Series Case for the Belt-clip to work.